Lights are draped between palm trees, people are wandering past with giant cushions and we catch the smell of curry drifting in the air. A possum scurries under a chair. The sun hasn’t yet dropped but the sky is a pastel wash of blues, pinks and orange. We’re at the movies in Darwin’s outdoor Deckchair Cinema. Visiting Darwin in the dry season (May to October) is the perfect escape from southern winter weather. Using cheap advance purchase tickets, I took a long weekend to visit my sister with no set itinerary or plans, apart from long chats and a few wines. Deckchair holds a prime spot on the waterfront behind Government House, and the story goes that a recent Friday night film was all but drowned out by a karaoke session held in that building. Thankfully no politicians took to the mic when we went along, although the possum population was out in full force. Arriving early, we grabbed a plate of curry from the pop-up food vendor and a bottle of wine from the bar and enjoyed the sunset before settling into the slingback seats closer to the big screen and enjoying the film. Welcome to Darwin and her outdoorsy life. With May temperatures ranging from 23 to 30 degrees Celsius, outdoor options were appealing. Heading down the Arnhem Highway the following day we took the the 45 minute drive to Fogg Dam, a wetland area with an abundance of birds, water lilies and blue skies. The cameras all got a work out as we spotted forest kingfishers, turtles, frogs, egrets and whistling ducks among the wildlife. A late afternoon winding walk through bush took us out on to a series of boardwalks over mirror-smooth waters, with barely a sound or wisp of air. The sound of something large crashing through the bush had us planning escape routes and considering water buffalo running speed – fortunately the plans didn’t have to be put into action – my tree-climbing skills are likely to be rusty. If you don’t want to venture out of town, try a half day at George Brown Botanic Gardens or a walk out to East Point at sunset. With 70km of dedicated cycling and walking tracks, you won’t go short of exercise or things to see. Darwin is rightfully known for it’s markets. The dry season Mindil Beach markets attracts thousands of visitors annually to browse, buy, eat and enjoy the sunset from the beach. (More sunsets – the place is overrun with them!) Avoiding the crowds we opted instead for a Saturday visit to Parap Markets, where food is the main attraction. Long queues showed the most popular stalls – laksa and mango smoothies on the day we visited. 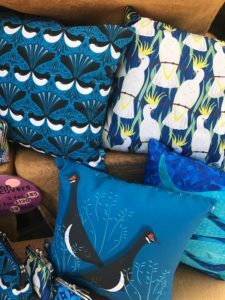 Talented artisans displayed hand crafted items from inner tube jewellery to vibrant fabrics printed with northern wildlife images. These markets are small but deservedly popular. 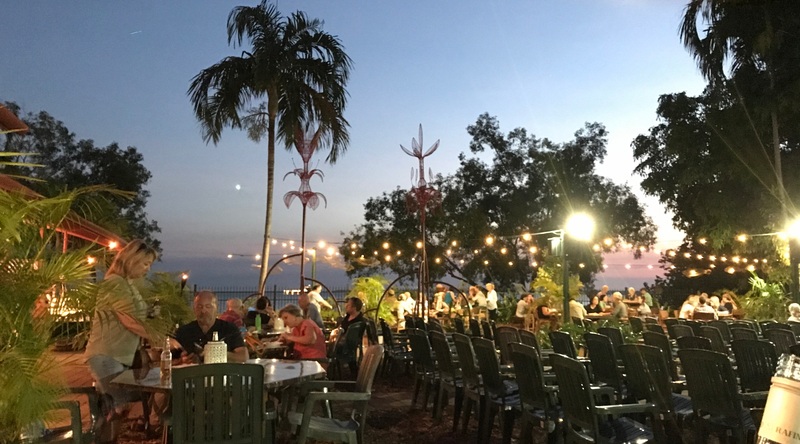 With its miles of foreshore area, Darwin has nailed the food truck restaurant market. With ready-made views, food truck businesses spring up on regular evenings and locations. We chose Cucina sotto le stelle at Nightcliff. Settling in at one of two long tables with checked tablecloths, we opened our beers and watched family groups with kids and dogs playing around huge trees, while joggers and cyclists sped past us on the track overlooking Nightcliff beach. Fairy lights strung above our tables glowed over small groups of people with eskies and blankets dotted around the lawns. If we had more time, we would have worked our way through this handy list of pop-ups put together by local blogger Growing Up Troppo. 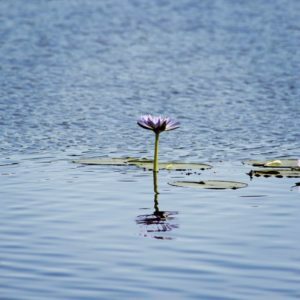 More time would have tempted us to visit Litchfield Park, Tiwi Islands, the museum, or any of the other attractions to be found here. As it was, arriving at Brisbane airport after the midnight horror, cold from the 20 degree drop in temperature, I vowed to get another hit of winter sun and watch those melting sunsets before the wet season hit town. Beautifully written Kath, I have some fond memories of Darwin & you feature heavily. Our epic Tour de Darwin 5 hr cycle, canoeing Kathryn Gorge, Mataranka Hot Springs, huge ant mounds & geckos …… thousands of geckos & a drop of bundy here n there.